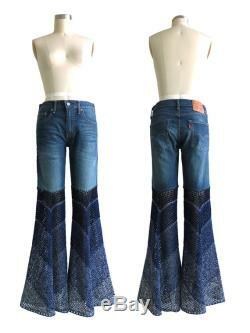 You will then receive information on where to send your own jeans to be redesigned. 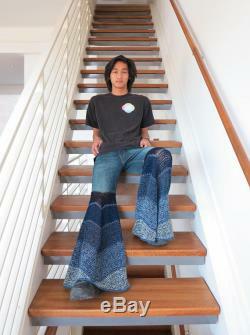 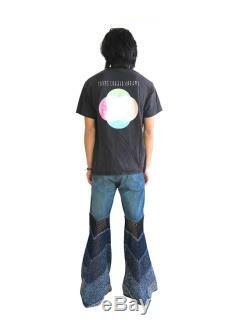 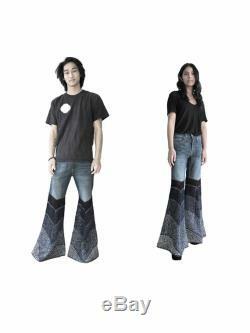 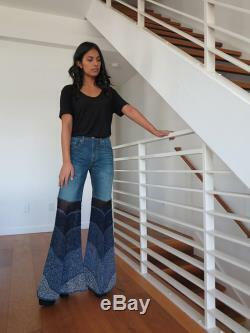 Descriptionadd bellbottoms to your jeans of any shape, style or color. 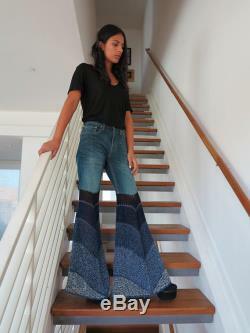 Your jeans will be shortened and hemmed. 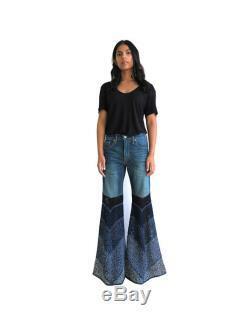 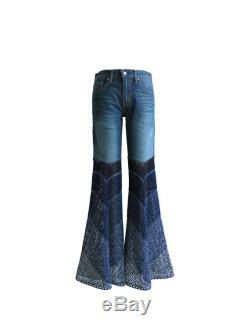 Then bellbottoms are crocheted onto jeans in a chevron pattern chevron ombre pattern going from a dark to light shades of indigo. 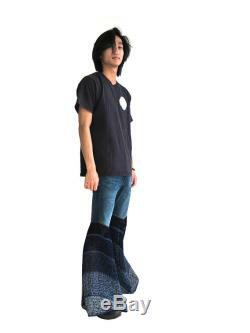 Color: indigo ombrecontent: 100% cottonfitleg opening approximately: 18" across / 36" circumferencecare: machine wash and dry in mesh laundering bag.